I am back to working on my V neck Boxy. 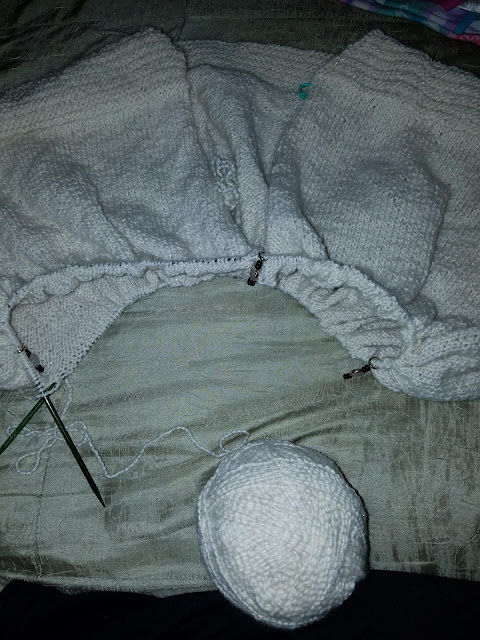 I got the back and both fronts done, and have joined the body. All I have to do is knit. And knit. And knit. It should be great for knitting while watching TV, although I am trying to watch less and read more. My next major project is a sweater for Little Man. I have the yarn, but still have to wind it. Guess what is on the list for tomorrow?